Text of Missouri bicycle laws--print, cut in half, fold, and you have a small copy of the full text of Missouri bicycle-related laws. Many bicyclists carry a copy at all times. It useful for showing police and other officials--or even handing out to motorists or other bicyclists. Text of Missouri pedestrian laws--print, cut in half, fold, and you have a small copy of the full text of Missouri laws relating to pedestrians. Pedestrian Tips/Pedestrian Laws--safety tips for motorists and pedestrians, and the text of Missouri laws relating to pedestrians. Bicycle Tips/Bicycle Laws--safety tips for bicyclists and the text of Missouri laws related to bicycling. 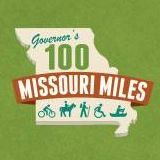 The Driver's Guide to Bicycling--summary of Missouri laws and the passages from the Missouri Driver Guide, explaining how the law requires drivers to share the road with bicyclists. A one-page Summary of Missouri Bicycle Laws and the Missouri Driver Guide for Motorists and Bicyclists. Motorcyclists and bicyclists change speed and lane position when encountering bad road conditions, such as manhole covers, diagonal railroad tracks, road debris or in strong winds. Be ready to react. When you are passing, give motorcycles a full lane width. If possible, give a full lane to bicycles and mopeds, too. Do not squeeze past these road users. The bicycle is generally a slower moving vehicle and this may require you to slow down. Wait for a clear stretch of road before passing a cyclist in a lane too narrow to share. If you are following a bicyclist and need to make a right turn, you must yield to the cyclist. It is often safer to slow down and remain behind the cyclist until you are able to turn. Cyclists often travel at surprisingly fast speeds. If you need to make a left turn, yield to oncoming bicyclists unless you are absolutely sure you can make the turn before the cyclist reaches the intersection. Check for passing bicyclists before opening your car door into a traffic lane or bicycle lane. A bicycle lane is a portion of a roadway designated by striping for use by bicycles. You may cross a bicycle lane when turning or when entering or leaving the roadway. You must yield to bicyclists in a bicycle lane. On public streets and highways, you have the same rights and responsibilities as a motor vehicle operator. Always ride with traffic, never against it. When operating at less than the posted speed or traffic flow, generally ride as near to the right side of the roadway as safe. The right edge of the road often has hazards like ditches, gutters, sand, gravel shoulders, and so on. Leave space between yourself and these hazards as needed for safety. when there is a right-turn-only lane and you are going straight. Always check traffic and signal before changing lanes or changing your position within a lane. On a one-way street, bicyclists may also choose to ride as far left as is safe. The law does not allow you to ride a moped on any part of the federal interstate highway system. The law does not require you to wear a helmet. However, wearing a safety-certified helmet can prevent serious head injuries or death. Be sure your bike is in safe condition and has all the equipment required by law. Make sure motorists see you. Wear bright colored clothes and stay out of a vehicle’s blind spots. Use proper lights and reflectors when riding after dark. Make sure you signal before you slow down, change lanes or turn. Before merging, changing lanes or turning, scan behind and in front to ensure that it is safe to make this maneuver. Do so in plenty of time and in cooperation with other drivers who will be affected by your move. If it is not safe, continue on a straight course and scan repeatedly and only move once it is safe. In conditions of heavy traffic, less proficient bicyclists may find it easier to wait near the curb for a safe gap to appear. Be careful when passing to the left of a parked or moving vehicle. You should leave 3 to 4 feet of clearance to avoid suddenly opened car doors or allow for a vehicle to swerve. Be extra careful at intersections. Do not assume your right-of-way when there is a vehicle approaching. Be aware that motor vehicle drivers may not see you approaching the intersection, or may believe that you are moving at a slower speed than you are. Keep a steady line and be predictable as a courtesy to other traffic and to increase your personal safety. For teen and adult bicyclists, studies show that riding on the street with traffic, not against it (following the same traffic rules that other vehicles do), is far safer than riding on the sidewalk. However, Missouri law prohibits cyclists from riding on the sidewalk in a business district. Note that Chapter 300 is the Missouri Model Vehicle Code. Provisions in Chapter 300 do not generally have state penalty provisions. However, every city and county in Missouri has adopted Chapter 300 or similar language into their own municipal code. To find the complete details, you'll have to look up your city's individual traffic code. The municipal code for most Missouri cities is quite similar to the language in Chapter 300, though you will find some differences from city to city. Provisions in Chapters 304 and 307 have full force of state law and do include state penalty provisions. Note that some provisions are included in both Chapter 300 and Chapter 307--which means they are included in both municipal code (for those municipalities that adopt Chapter 300 by reference) and in state traffic law with state penalty provisions. Every city and county in Missouri has its own traffic law. However, municipal traffic laws must harmonize with state law--meaning that municipal law cannot contradict state law, but it may fill in areas not covered by state law. For that reason, traffic law for cities and counties in Missouri generally follows the the provisions below quite closely--often with identical language--but may have a few additional provisions or use language based on an earlier version of Missouri Code. 300.347. Riding bicycle on sidewalks, limitations - motorized bicycles prohibited. The driver of a motor vehicle shall not drive within any sidewalk area except as a permanent or temporary driveway. A designated bicycle lane shall not be obstructed by a parked or standing motor vehicle or other stationary object. A motor vehicle may be driven in a designated bicycle lane only for the purpose of a lawful maneuver to cross the lane or to provide for safe travel. In making an otherwise lawful maneuver that requires traveling in or crossing a designated bicycle lane, the driver of a motor vehicle shall yield to any bicycle in the lane. As used in this section, the term "designated bicycle lane" shall mean a portion of the roadway or highway that has been designated by the governing body having jurisdiction over such roadway or highway by striping with signing or striping with pavement markings for the preferential or exclusive use of bicycles. The operator of a motor vehicle overtaking a bicycle proceeding in the same direction on the roadway, as defined in section 300.010, RSMo, shall leave a safe distance, when passing the bicycle, and shall maintain clearance until safely past the overtaken bicycle. Any person who violates the provisions of this section is guilty of an infraction unless an accident is involved in which case it shall be a class C misdemeanor. The affirmative defense of this section applies only to a violation for entering or crossing an intersection controlled by a traffic control signal against a red light and does not provide a defense to any other civil or criminal action. 307.180. Bicycle and motorized bicycle, defined. The term motorized bicycle shall mean any two or three-wheeled device having an automatic transmission and a motor with a cylinder capacity of not more than fifty cubic centimeters, which produces less than three gross brake horsepower, and is capable of propelling the device at a maximum speed of not more than thirty miles per hour on level ground. A motorized bicycle shall be considered a motor vehicle for purposes of any homeowners- or renters- insurance policy. 307.185 Lights and reflectors, when required - standards to be met. 307.188. Rights and duties of bicycle and motorized bicycle riders. A person operating a bicycle at less than the posted speed or slower than the flow of traffic upon a street or highway may operate as described in section 307.190, or may operate on the shoulder adjacent to the roadway. For purposes of this section and section 307.190, "roadway", means that portion of a street or highway ordinarily used for vehicular travel, exclusive of the berm or shoulder. The operator of a bicycle shall signal as required in section 304.019, RSMo, except that a signal by the hand and arm need not be given continuously if the hand is needed to control or operate the bicycle. An operator of a bicycle intending to turn the bicycle to the right shall signal as indicated in section 304.019, RSMo, or by extending such operator's right arm in a horizontal position so that the same may be seen in front and in rear of the vehicle. 300.340 Opening and closing vehicle doors. No person shall open the door of a motor vehicle on the side available to moving traffic unless and until it is reasonably safe to do so, nor shall any person leave a door open on the side of a motor vehicle available to moving traffic for a period of time longer than necessary to load or unload passengers.